What is the Most Expensive Bourbon? What Does Proof Mean When Talking About Alcohol? What Is the Highest Proof Vodka? What Is the Difference Between 80 & 100 Proof Bourbon? 1 What is the Most Expensive Bourbon? 2 What Does Proof Mean When Talking About Alcohol? 3 What Is the Highest Proof Vodka? 4 Chocolate Martini: How Many Calories? Labels matter in the bourbon industry. Federal law prohibits using the name “bourbon” to label any whiskey not made in the United States under specific production standards. The process -- from mash production through fermentation, distillation and aging -- plays a role in alcohol content. Federal law also prescribes the formula required to determine proof. The proof number on a bourbon label indicates the percentage of alcohol to volume of bourbon after bottling. Proof standards in the United States use alcohol by volume, or ABV, to designate the proof of beer, wine and liquor. American standards define proof as double the percentage of alcohol in the solution when it reaches 60 degrees Fahrenheit. 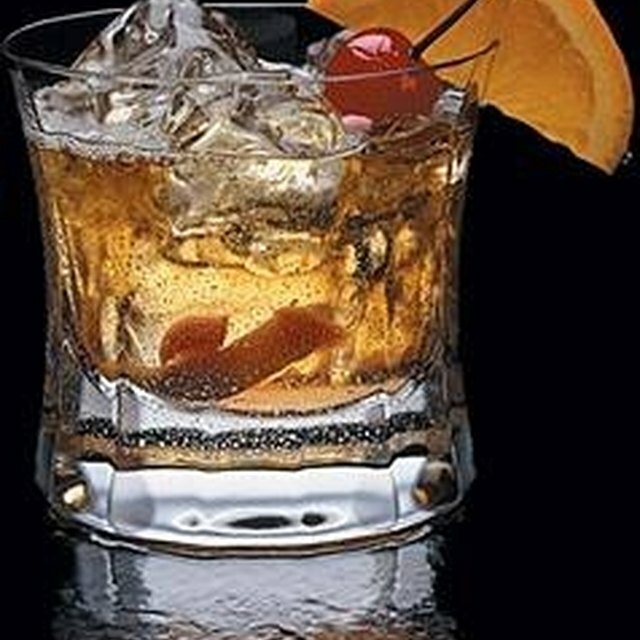 U.S. standards require that bourbon is distilled to not higher than 80 percent ABV, which is 160 proof. Standards also require producers to bottle bourbon at 80 proof or higher. Distilleries bottle matured, water-diluted bourbon at a minimum of 80 proof. Using the ABV standard, 80 proof bourbon contains 40 percent alcohol by volume, while 100 proof bourbon contains 50 percent alcohol by volume; 80 proof bourbon is the type mostly commonly sold in the United states. “Straight” bourbon is 100 proof and is aged for at least six years. Buying 100 proof bourbon and adding water allows bourbon enthusiasts to fine-tune the alcohol content to their own liking. What Is the Highest Proof Tequila?